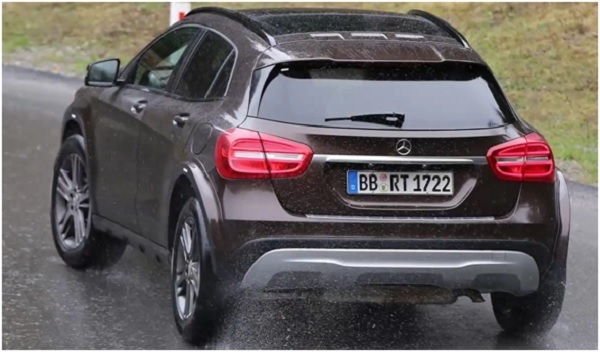 Mercedes-Benz GLB 2018 model year. Mercedes-Benz GLB 2018. Model cars for sale. The next novelty, which will please its fans the German auto giant. 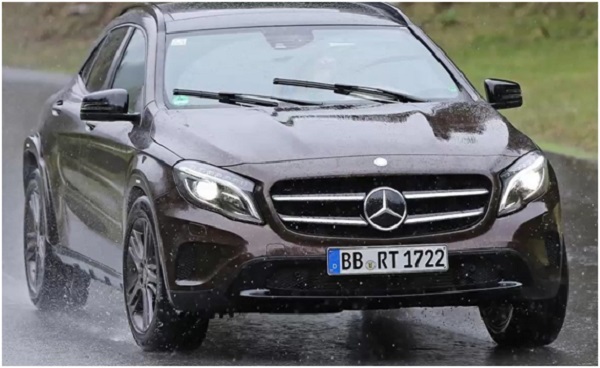 Will become a compact SUV Mercedes-Benz GLB 2018 model year. 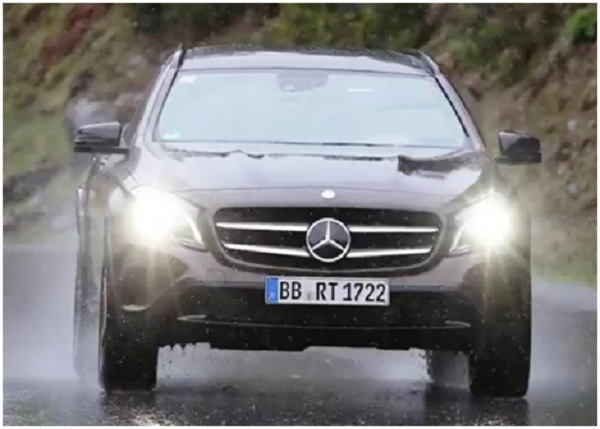 It will replace the current model GLC, which in turn replaced the GLK-class. In total, the series plans to produce eight cars. Each of which will serve as a kind of substitute for the class of the previous one. At least, the head of Mercedes-Benz Cars division Dieter Zetsche at the Detroit motor show in January this year voiced the company’s future development strategy. The new model will help the concern to maintain positive dynamics of market sales in the sector of small crossovers. It is noteworthy that GLB will be executed in the hooligan and brutal style of the famous model Geländewagen. At the same time, the manufacturer guarantees not only off-road appearance, but also good opportunities in terms of cross-country ability. Junior «Helik» will cost an order of magnitude cheaper than his older brother. He is offered to buy at least 106 thousand euros. According to preliminary data, the price of GLB in the US market will be close to the premium B-class. It will make approximately 44 thousand dollars. Now the car is at the final stage of development and is accelerating to the official release in 2018-2019 model year. «Mini Gelendwagen» has already lit up on several test races. I’ve revealed some of my secrets. Therefore, now with a high degree of probability it is possible to draw some conclusions about the exterior and technical equipment of the novelty. This preliminary review will indicate some of the most likely facts. Although at the time of the presentation, everything can change. Recall that the design and engineering work on the Mercedes-Benz GLB is not finished yet. Appearance and configuration of Mercedes-Benz GLB. In appearance, the novelty will radically differ from its previous counterparts GLC and GLK-class. As a sample, a predominantly expensive and very popular G-class was chosen. This implies the presence of faceted muscular style with small angles of inclination of the front and rear pillars supporting the roof. Judging by the first unofficial photos, the car will most likely be more like the conceptual model of Enter-G Force. This model, the world community concerned, could see at the end of 2012 at the motor show in Los Angeles. But the recognizable features of Gelendvagen, of course, will be present. In fact, it will be an affordable and practical embodiment of Geländewagen for those who want, but can not afford to get a cult car. Especially novelty should be of interest to modern youth. Interior design and layout of the car. The interior of the Mercedes-Benz GLB 2018 in its design will echo the salon of other novelties of the German automaker A-class and CLA-class. This means that there will be round openings of the AC split system, as well as an advanced COMAND (Cocpit Management and Data System) multimedia complex with a large touch screen, a navigator and a combined control function. Inside the car will be quite spacious. The B-Class car salon combines excellent design and practicality. In addition to the five-seat and seven-seat landing, it is also likely to be offered a modification for four people with individual seats in the back row. In addition, the availability of leather upholstery seats and seats, as well as a capacious trunk. Harman Kardon’s advanced acoustics with three-dimensional sound positioning. Technical parameters of compact crossover. A significant difference between Mercedes-Benz GLB and «Helik» is the absence of a frame. Frame construction is the privilege of large all-terrain vehicles. As a base, the developers used the MFA platform. Improved and modernized for another new Mercedes — the future hatchback A-class 2017-2018 model year. The novelty of the 2018 model year, besides the front drive, makes it possible to realize the all-wheel drive variant. Also provides greater flexibility of production. This speaks in favor of the promised good off-road characteristics of the crossover. The automaker should prepare for the off-road novelty a wide choice of power units of both petrol and diesel type. According to experts, this list must include a two-liter turbodiesel with a capacity of 160 to 190 horsepower. Also, gasoline turbocharged engines of a new generation. Do not exclude the appearance of a 400-strong engine for the «charged» configuration of Mercedes-Benz GLB AMG. There are also rumors about the emergence of a hybrid version, but traditionally such models are released to the market after the start of sales of the basic modification. Car models: Mercedes-Benz E-Class Cabriolet 2017. « New cars for sale: The new car BMW 6 Series 2018.